Janice and her committed fellow cultists descended upon a Minnesota Starbucks with a message that our sacred holidays will not be mocked. 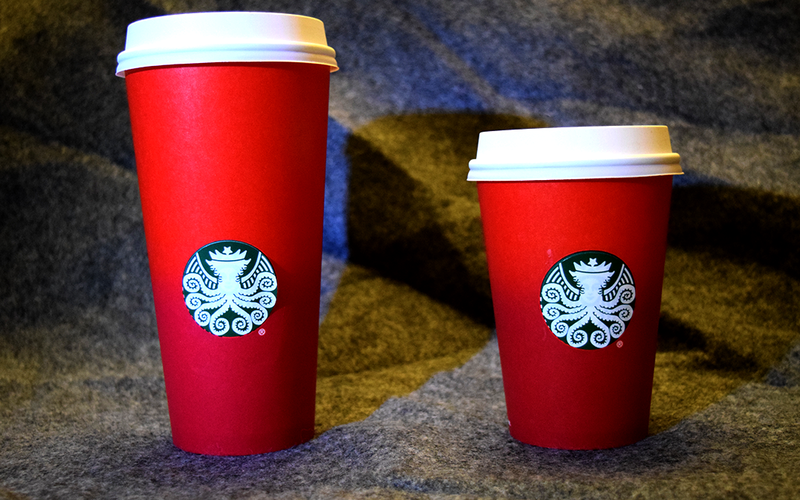 Armed with sheets of Cthulhu for America Saturnalia stickers they set out to right the wrongs of the #redcup controversy by changing, sometimes forcibly, the lame mermaid logo with the visage of the true Dread Lord of the Deep, Cthulhu. There are few better ways to share the Dark Days of Saturnalia with your fellow man than through creative vandalism.